PB-48-75 Industrial Grade Lithium Battery | Lithium Power, Inc.
Lithium LFP chemistry can completely replace all the benefits of AGM. The cost analysis is shown below. The PB-48-75 is designed to offer full mechanical and electronic compatibility with all vehicles currently operating with lead-acid batteries. The space requirements and installation steps are exactly the same as with the existing lead acid battery solutions. Combined in parallel, 3 modules of PB-48-75 directly replace one 48V 225Ah lead acid battery for electric-powered forklifts, for instance. Lithium Power Inc.’s unique Battery Management System (BMS) enhances battery power for the industrial user’s needs, providing better performance, safety and reliability. Lithium Power also provides custom paired chargers and a proprietary tester for the PB-48-75. The solution is a complete smart battery system that allows industrial users to charge and test PB-48-75, to fully understand how well it is operating in real time, and to manage the battery to maximize its performance and life. The PB-48-75 is equipped with a CANBus communication protocol for application developers (designers of forklifts, AGVs, etc.) to access battery status information. The smart battery is able to communicate 60 parameters of information including SOC, SOH, the number of charge cycles, depth of discharge, operating temperatures, cell and BMS board temperature, cell voltages, discharge currents, peak discharge duration, and more. Lithium Power’s unique BMS provides a data log function that will allow developers to understand how their devices use battery power to improve their design and functionality. Developers can read the data log and understand how their end users use their application. For example, when the temperature in the battery’s environment is too high, the BMS shuts off the battery’s operation to protect it and logs this data for analysis. The data log can also show discharge currents, peak discharge current and duration, and other operating conditions. All this information is helpful when it comes to improving the product and troubleshooting. The PB-48-75 BMS data log information can be accessed using CANBus protocol and Lithium Power’s proprietary reader. The BMS communication app also connects via Bluetooth, allowing smartphone access to data and status anywhere, anytime. Using lithium battery technology safely is also a major business concern for industrial users. Lithium Power’s unique BMS provides the most safety features in the battery market. For example, the active temperature protection of its BMS allow the PB-48-75 be used in a wide temperature range of -15 degree C to 60 degree C safely because of the BMS performance monitoring ability. 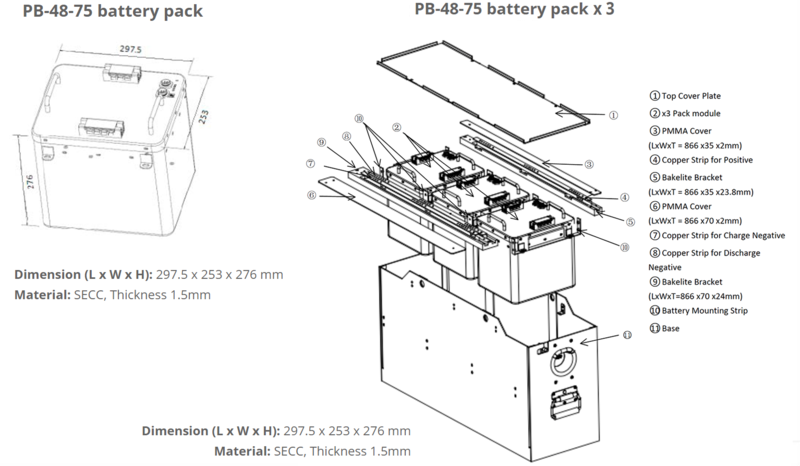 The mechanical design of the battery holder to provide protection against physical shock and vibration of the PB-48-75 is another safety design. The battery holder keeps the battery cells steady and cushioned against jolts typical in the workplaces in which these vehicles operate. The battery holders are welded to provide high impact tolerance. They are built to be robust enough to withstand the punishment typical of industrial environments. Reliability is always a critical business concern for industrial users. To ensure our battery packs deliver reliable performance, the quality of our lithium battery packs starts being built in the initial design phase. The PB-48-75, a robust 3600Wh lithium battery pack specifically designed for industrial use, uses our unique, proprietary Battery Management System (BMS) to secure reliability and safety, as noted above. The BMS includes cell balancing, temperature protection for charging/discharging in high/low temperature, the mechanical design of battery and charger, thermal management, and the high-quality welding of the battery holder to withstand shock and vibration. These features all combine to enhance the reliability of the PB-48-75. PB-48-75 is manufactured at Lithium Power’s UL-certified factory. 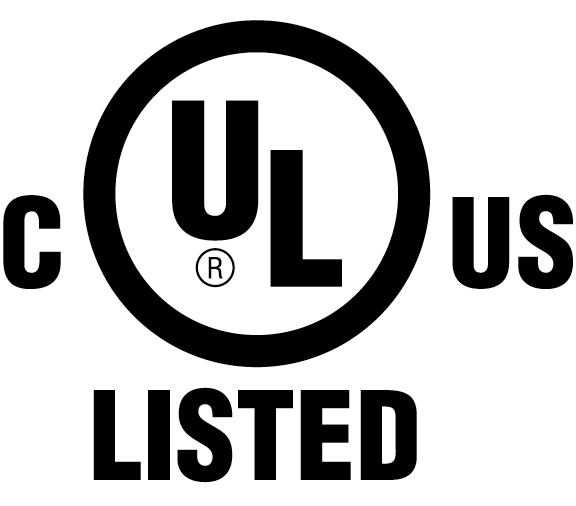 Lithium Power has extensive experience designing and manufacturing devices that meet UL2054 standards for medical applications, UL2271 standards for light electric vehicles, and much more. Note1: If each charging current of the pack is larger than Over charging current protection value, then each charging current of the pack will be limited to 20Amax. Our battery chargers are custom-designed to work efficiently with our lithium battery chemistry, which lowers cost of ownership by maximizing battery charge levels and battery life. Most chargers on the market are designed for lead acid batteries. They are not compatible with lithium battery technology, and so do not support lithium batteries very well, which sub-optimizes battery performance. In addition, they lack what we call a “shake-hand feature” with our batteries. For example, our chargers start charging when the battery temperature is within a preset temperature range set by the BMS’s protection protocol. In addition, most industrial users require the battery to be charged in short periods of time. If your charger cannot “shake hands” with the battery’s BMS, optimal fast charging cannot happen. Adapting an off-the-shelf charger risks both long-term quality and performance. Lithium Power is expert at designing chargers that fit the wide variety of lithium chemistries. (Different lithium chemistries have different charging characteristics.) To fully charge a lithium battery, which maximizes its value to the vehicle operator, the last 10% of capacity has to be charged in CV mode. A battery tester is another professional tool that industrial user needs to get the most out of their battery investment. Testers provide a detailed understanding of battery status. Lithium Power’s tester allows user to retrieve live, real-time battery status as well as a battery’s history data log, providing a complete picture of the battery’s health. We can also deliver information using LED signals or LCD displays. Please contact us at info@LithiumPowerInc.com for more technical information. Lithium Power, Inc. is devoted to using clean energy technology to promote sustainability and create a better world. We plan on developing high-safety, quality batteries for medical applications. Our medical battery can be customized to integrate your creative ideas and meet specific industrial needs. Please contact us at info@LithiumPowerInc.com for additional information or to discuss potential collaborative projects.